Use the Winco LDC-4 Color-Coded Ladle 4 oz. with Green Handle to serve soup without spills and messes. 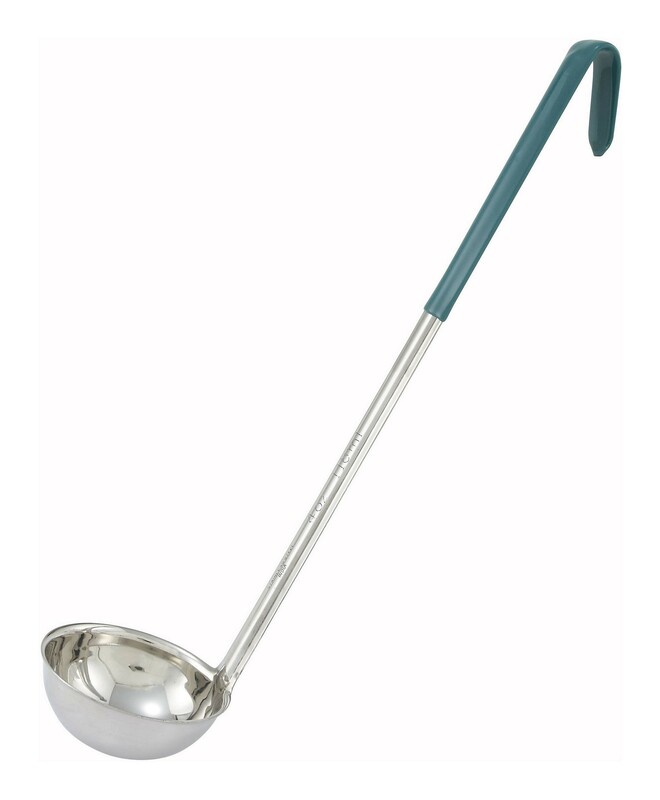 This ladle has a deep bowl structure that holds liquid in place while its stainless steel construction makes it rust and corrosion resistant. This ladle has an insulated handle that stays cool when it is used with hot food and it is also long enough to keep you at a safe distance from the heat. It also features a hooked tip that allows you to rest it on the rim of the pot in between uses.